For those who are fans of Manga or Anime, the term Chibi will be familiar as one used to describe super cute figures, usually with tiny bodies and huge heads. Chibi also is a Japanese slang term for tiny. Whether it is their tiny size or the super cute things you can create,the name ‘Chibitronics’ was a great choice of inventor, Jie Qi,. Chibitronics combine tiny sensors and electronic circuits with stickers, making it possible for anyone with imagination and some time to create interactive designs. 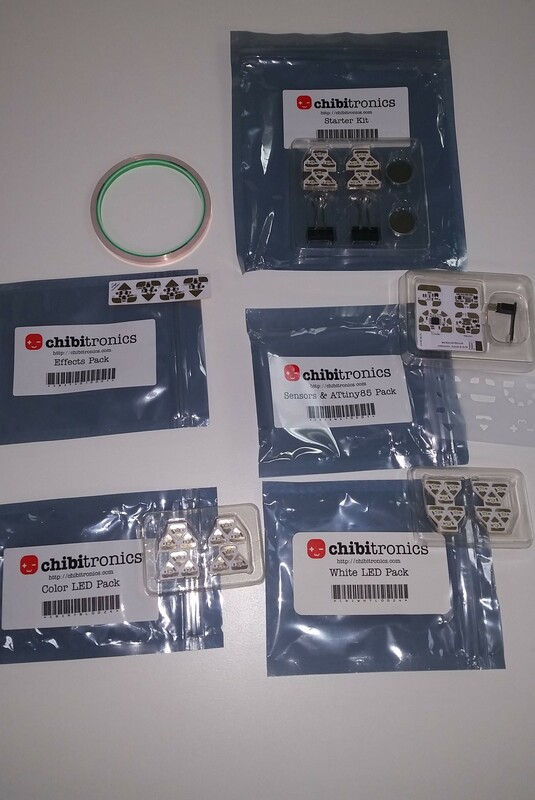 Chibitronics are an exciting addition to a Makerspace. 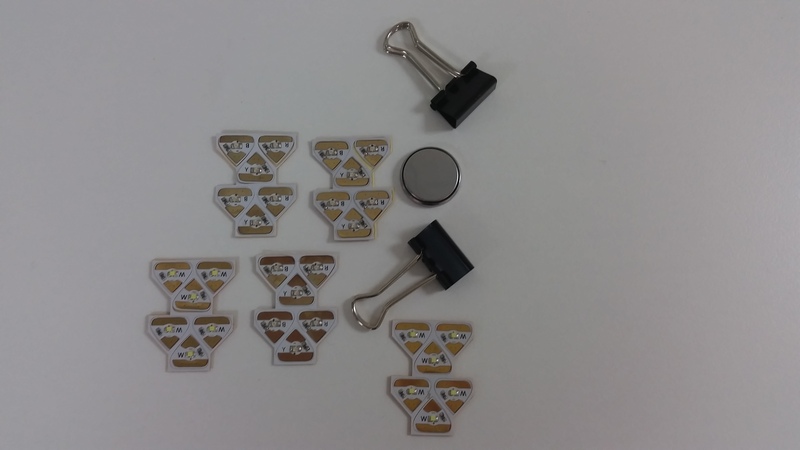 They consist of tiny circuits on stickers, which can be combined with copper tape or conductive paint to make almost anything interactive. (click on the images below for a larger picture of these tiny stickers). Although the kits come with extra sticky backing so they can be re-used, the nature of chibitronics is that they are essentially consumable. 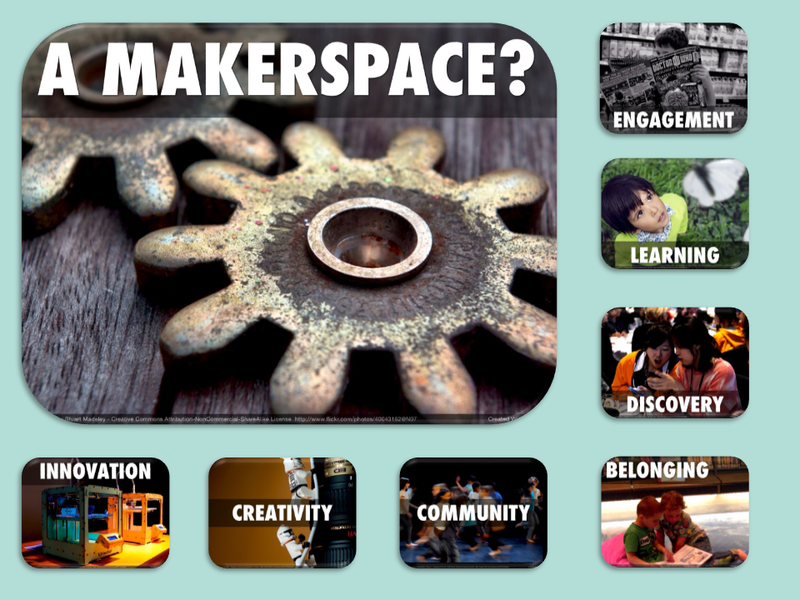 This means that for those planning their inclusion in a makerspace, they are more effective as a special project material. The starter kit is a great introduction, and provides everything you need to get started, as well as a comprehensive ‘sketchbook’ that gives examples of different ways of using the components and materials, including creating a simple circuit, parallel circuits, diy switches, blinking slide switches and DIY pressure sensors. Copper tape is supplied, and this or conductive paint can be used to create the circuits. The option to follow the instructions and create interactive examples within the pages of the sketchbook is there, or the simple projects can be reproduced using just paper or card. Click on the image to go to this tutorial on the Chibitronics site. or even connect a microcontroller for added flexibility. ResourceLink has a kit which includes samples of all of these stickers, as well as the sketchbook and a hyperlink to this post. 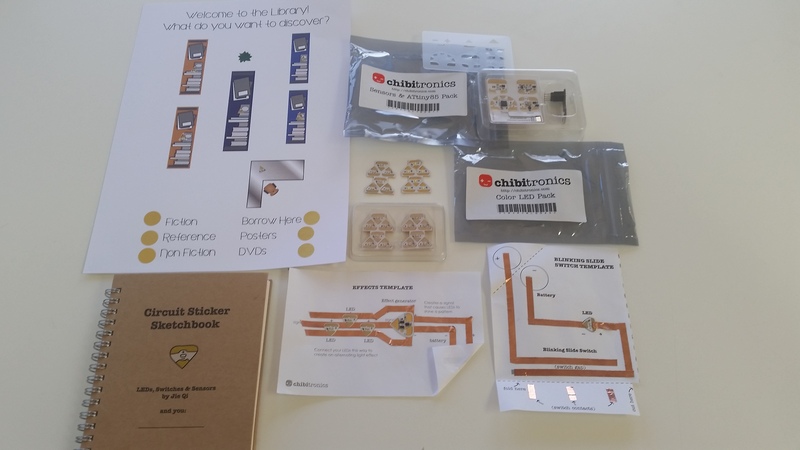 For schools within Brisbane Catholic Education, you can borrow this kit to see what Chibitronics look like in real life (although you can’t actually use the stickers), and to explore whether or not you would like to invest in a set for a special project with your mini makers (students!). This is the sample kit you can borrow from ResourceLink. 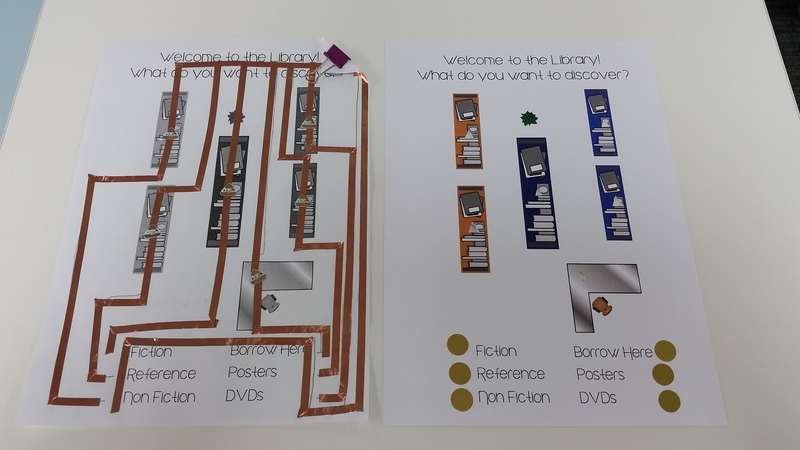 It has examples of all types of Chibitronics for you to look at, as well as the interactive library poster example, the Sketchbook and also a photocopiable booklet of the Chibitronic templates and tutorials. Share your project ideas in the comments; Chibitronics are another fantastic and exciting new way that students can be empowered to apply their scientific knowledge in real and engaging ways to create and invent. Check them out! This is why we must have events like Edutech. The Edutech Conference is the largest of its kind in Australia. Over 1000 delegates, participating in streams reaching broadly across the educational landscape; K-12 Leadership, Teacher Librarianship, IT Directors, Higher Ed, Vocational Education and Training, Tertiary Education, Business Managers – basically if you are in education, there is a stream for you. It wasn’t all doom and gloom though. 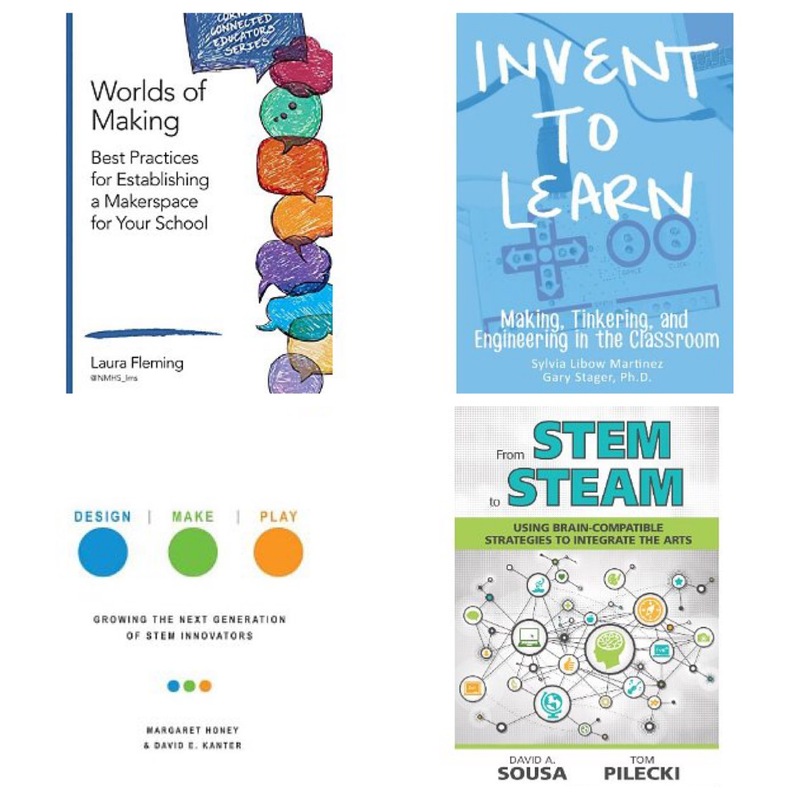 George Couros asked us to remember that sometimes, it can be easy to be drawn into the myths of technology, and be swayed by the negative hyperbole of the media. His stirring keynote reminded us that there is a lot to be gained from the connections social media enables us to create; both from a learning and a personal point of view. He presented strong challenges to the myths of technology; that it automatically ensures engagement and that connecting with strangers online is inherently dangerous He also argued against the common beliefs that technology will make us narcissistic, replace face to face interaction and dehumanise us, while also making us dumb! You can read more about each of these on George’s blog, where he addresses each of these myths. One of the highlights of the 3 days was the effervescent Super Awesome Sylvia, who’s have a go attitude and maker videos have brought her world wide attention at age 13. Her short keynote was a great example of ‘feel the fear, and do it anyway’ – she was clearly nervous (as any normal person speaking in front of such a huge crowd would be), but she spoke with passion and simplicity, encouraging everyone to take on a maker mindset, see failure as part of learning and learn through play. Personally, I had great fun presenting to a group on the value of developing your Personal/Professional/Passionate Learning Network, using Social Media, and also was honoured to be a part of a panel which included Joyce Valenza, Jane Viner and led by Debbie Hunter, where we discussed the value and importance of curation for the Australian Curriculum. Reporting on such a massive conference is challenging, as it is physically impossible to participate in the workshops run simultaneously by world class speakers, and even a keen eye on the mind-boggling tweet stream could only give a glimpse at the amount of information being trafficked. My summary below is just a tiny snapshot. I have included also as many links as I could to the speakers’ handouts, websites or resources, as well as the links to my Storify Summaries, which are on the final page of the presentation below, which was created in my latest tool ‘discovery’, E-Maze. The video below tries to capture some of the emerging themes of the conference. You can view it at a more leisurely pace, viewing the videos and accessing the hyperlinks (the little orange ‘play’ symbol indicates if a word or phrase is a hyperlink, and every web address should also link directly out) viewing it online here. If you would like to read more deeply into some of the wisdom shared via twitter by accessing the three Storify summaries I have created – one for each day. This was my first experience of Edutech. It was a great confirmation of the work we are doing at schools in Brisbane Catholic Education, and an opportunity to meet with likeminded educators who all share the belief that being an educator is an ongoing learning experience. Share your Edutech experience in the comments below!